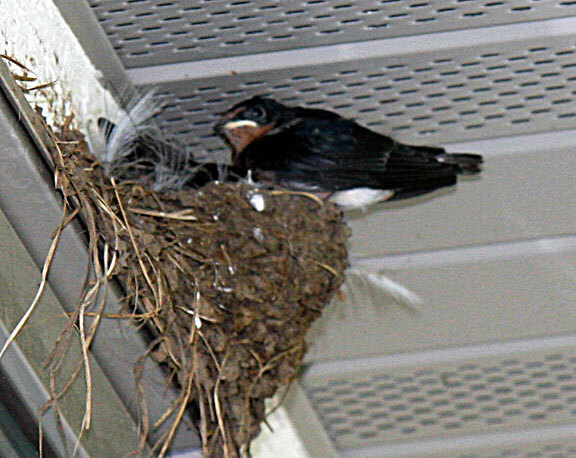 The Barn Swallows built a nest on the front porch this year. They built their nest out of mud and lined it with some some soft material. It was not built on a ledge, rather, it came straight out from the stucco – an amazing feat of engineering. I put a potty box underneath to catch all the dropping. 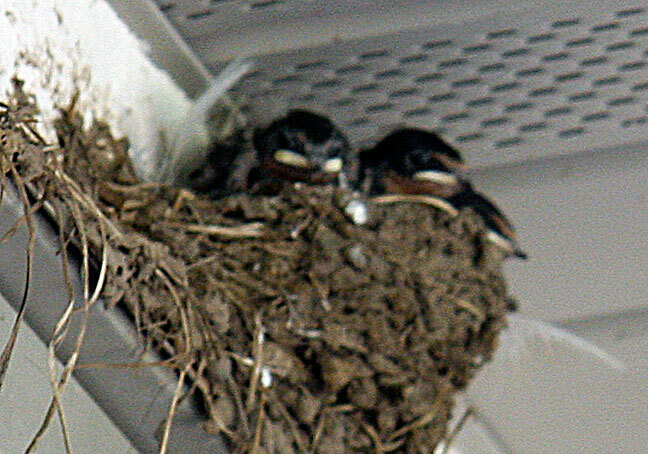 The birds seemed very upset for a few days and I noticed that one of the babies had died. 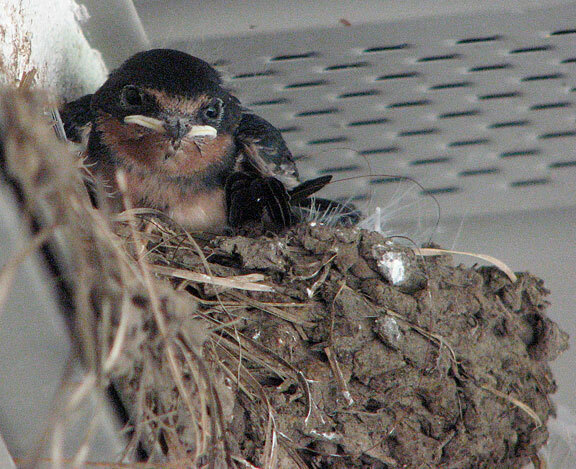 Buzz removed it from the nest. They seem fine now and almost ready to fly.